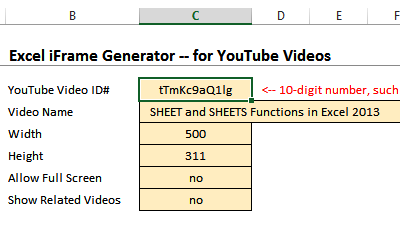 Use formulas in Excel to create HTML or IFRAME code, then add to a web page or blog post, to show links or embedded videos. 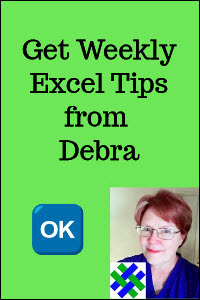 Get the free workbook, to see how the formulas work. 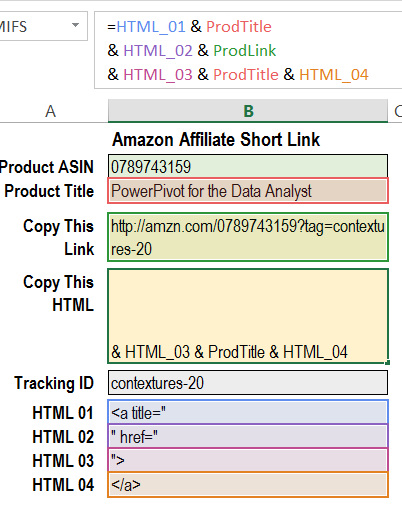 The first sample file is designed to create product links, if you are an Amazon associate. NOTE: The rules change occasionally, so check the current Amazon Associates agreement, to be sure that these links are in an acceptable format. Then copy the link or the HTML code, and paste it into a web page or blog article. 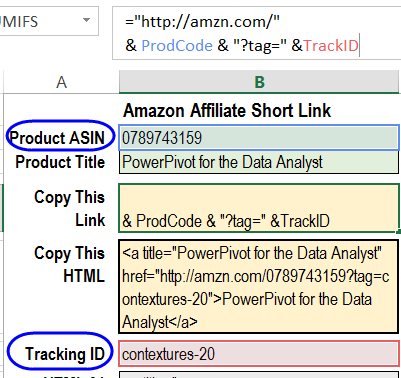 In the "Copy This Link" cell, a formula combines the first part of the Amazon URL, with the product code (ASIN) and the Tracking ID. If you copy the code from cell B5, and paste into a blog post, you'll see a simple URL link, as shown below. The link works correctly, but doesn't show the product name. 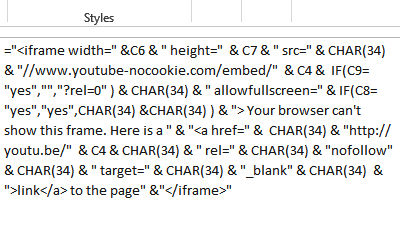 In the "Copy This HTML" cell, a more sophisticated link is created. It shows the product name, and has a link to the product's URL. The formula in that cell refers to the 4 HTML text cells, located below the Tracking ID cell. The four HTML cells have snippets of text that are required for building the HTML code. The formula in cell B7 combines the product title and the link, with those four snippets of HTML code. All the cells are named, so it's easier to understand the formula. You can follow the colored references in the screen shot below. To embed a YouTube video, or other web content, on your website, you can use IFRAME code. 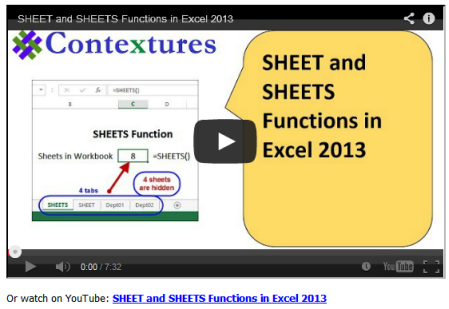 In this template, there are 2 data entry sheets -- one for YouTube embed code, and one for other types of IFRAMES. Fill in the details, such as the Video ID, and video name. To use the code, copy the IFRAME/HTML code, and paste it into a web page or blog article. Below that, the HTML code shows a text link. 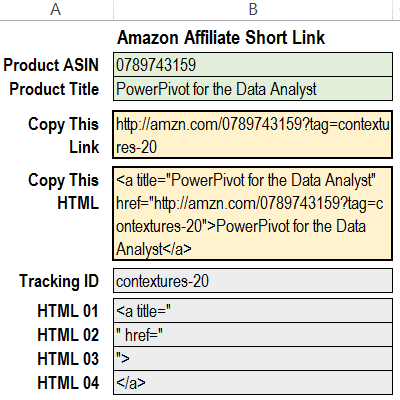 Amazon Links HTML: Click here -- AmazonLinksMaker.zip -- to download the Amazon Links sample file. The zipped file is in xlsx format, and does not contain macros. IFRAME Code: Click here -- exceliframegenerator.zip -- to download the IFRAME code sample file. The zipped file is in xlsx format, and does not contain any macros.